This all sounds a little bleak & depressing, but despair not, dear traveller, for the change of seasons brings with it new opportunities to travel and advantages to enjoy, hostels are cheaper for example, as are flights, while certain destinations take on a whole new feel & atmosphere in Autumn & Winter – a real joy to explore and experience. Ok, so there is still plenty of Summer and the extended season in September to savour yet, but there’s no better time to start thinking about an Autumnal or Winter break, keeping your eyes open for flight bargains & deals, researching potential destinations, and booking your hostels in time to get the best prices, with 5% discount as standard on Hostelculture.com. To inspire you, here’s our pick of destinations to visit as the days get shorter in Autumn or which can make for wonderful Winter breaks. For good measure, we’ve also included a couple of places where you can get some post-Summer sun too. Prague is a delightful city, and incredibly beautiful. For me, the Czech capital is most attractive at night when the fairy-tale-like cobbled streets, medieval & baroque buildings, and characteristic city-scape of spires are lit up and illuminated. It’s simply magical and as far as I’m concerned, it can’t get dark early enough in Prague – so the shorter days of Autumn & Winter are my favourite time of year in old Bohemia. A stroll across the Vltava river on Charles Bridge whilst combating the crisp chill of the air with sips of deliciously rich hot chocolate as the evening sun sets is a simple pleasure that alone makes a trip to Prague worth it, but one of the many things to do & enjoy in this alluring city. As much as Dublin offers for the curious traveller any time of year, there’s nowhere on the planet like a proper Dublin pub as the day makes way for the night – the atmosphere, the warmth, the people, the craic, and the Guinness, often complimented by incredible live traditional music, really makes for something special and an evening unlike any other anywhere else. I don’t mean the Temple Bar district, where only a few pubs are not geared towards tourists, but pubs that locals frequent; and, strange as it may sound, this scene is different in Autumn & Winter when it’s colder and wetter outside - the pub becomes a cosy and inviting snug, offering a certain appeal different to that of longer days in the Summer months. 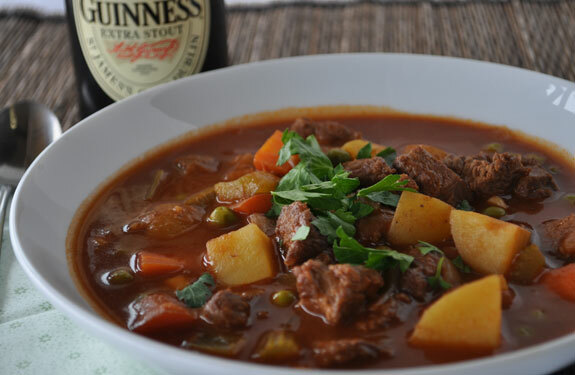 Add to this the hearty, filling, home-cooked traditional food, such as Irish stew or beef & Guinness pie, and Dublin does wonders for the soul during the darker days, post-Summer. Dublin is a year-round destination and has enjoyed record breaking visitor numbers for the last two years in a row, a trend which will be shown to have continued come the end of 2017 too. Bed supply has failed to keep pace, however, meaning prices for accommodation throughout the high season & when demand is consistently high have been ridiculous. Although the city will still be relatively busy come ‘low season’, there’ll be less pressure on bed supply and prices will be more realistic - making Dublin during the off-season an attractive offering, so get booking! Autumn brings with it vibrant natural colours to New York City, no more so than can be seen in the leaves as they turn to tones of red, orange and yellow, colours which have painted scenes as pleasing to the naked eye as to the camera lens; you’ll be familiar with the quintessential New York Fall from many classic films such as When Harry met Sally, You’ve Got Mail, and the aptly titled Autumn In New York, to name but three, and the depictions of falling leaves and the foliage-covered floor of Central Park while the evening sun bathes the skyline in golds, reds, & browns is what Autumn in New York is all about; glimpses of nature adding colour to the world’s most iconic man-made concrete jungle. 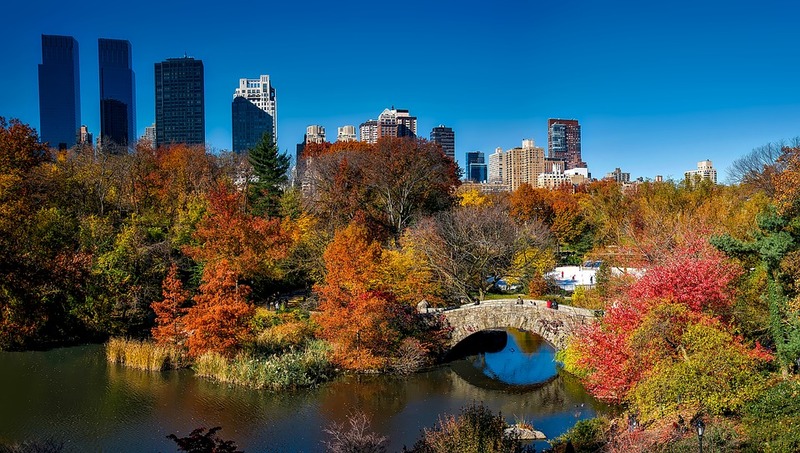 It’s a perfect time of year to visit the Big Apple, the famous character of New Yorkers makes for an even warmer welcome in the Autumnal chill, while a crisp evening bike ride along the Hudson Greenway is an ideal way to take in Manhattan’s West-side, and there’s no better city to pick up a few fashionable Autumn / Winter garments for your wardrobe. Back to mainland Europe now, the Hungarian capital, Budapest. Much like Prague, this Neoclassical city is beautiful when illuminated in the dark of Winter; an early evening stroll, late in the year, on the hill of the city’s Buda side, up through the neo-Gothic and neo-Romanesque Fisherman’s Bastion as the sun sets and night quickly falls, offers extraordinary panoramic views, unmatched at any other time of year. The Christmas markets of Budapest are some of the most renowned and popular in Europe. Starting in November, the markets bring a sense of excitement & celebration to the city and make for a perfect weekend getaway or Winter city break; the aromas of mulled wine & cinnamon lure locals & visitors alike to the stalls & stages in Vörösmarty Square to enjoy free live entertainment, indulge in delicious delicacies, peruse crafts and local products, and embrace the warm festive atmosphere. 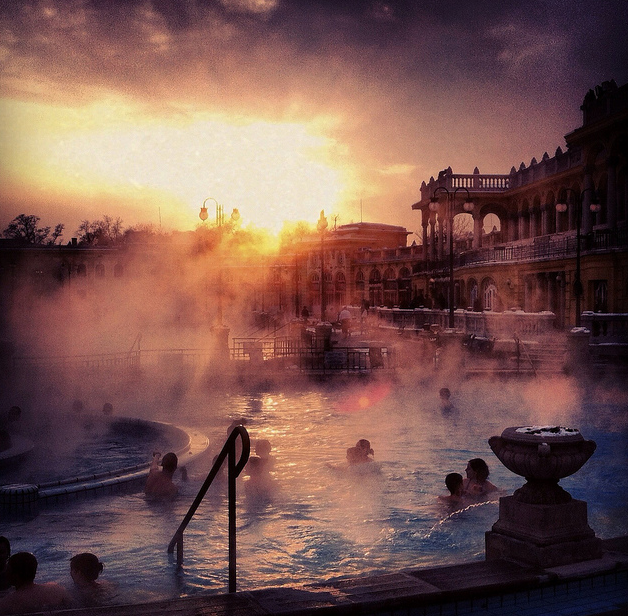 The famous baths of Budapest are popular year-round, there are many of these medicinal waters to visit here, but the most popular is the Szczesny baths where you can bathe both outside and in, and while there’s an obvious appeal to submerging yourself in an outdoor pool beneath the Summer sun, there is a refreshing novelty to relaxing in these natural springs while snow-flakes fall gently through the steam. Budapest is a very budget-friendly city, offers so much to do and enjoy during the Autumn & Winter months and has many excellent quality hostels at very affordable rates, making it an ideal destination after the Summer too. Autumn is arguably the best time to visit Vietnam, in terms of weather anyway. With a comfortable average temperature of approx. 25 degrees Celsius (77F) and being dry & sunny with a welcome cool breeze, as opposed to the typically humid Summer rainy season, Hanoi is a great call for an Autumn trip. 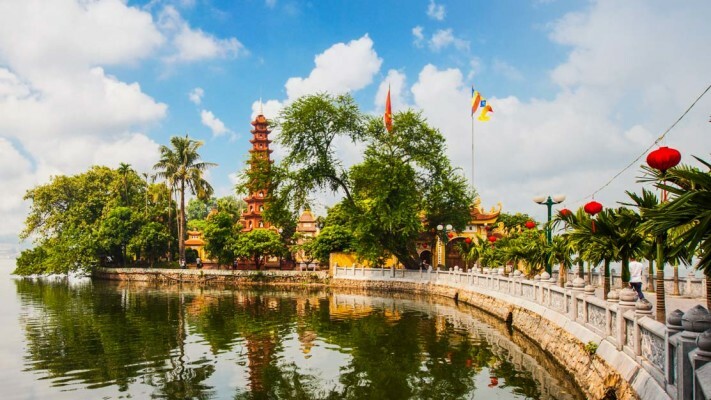 Combine this with Incredible history, fascinating sites, beautiful scenery, intriguing culture, friendly people, and cheap, high quality hostels, and Hanoi is hard to beat as an Autumn destination. Australia is upside down and Winter is actually their Summer, and their Summer is their Winter, which is still way better than Irish Summer. Anyway, if you’re not Australian or don’t already live somewhere that has excellent sunny Winter weather and want to escape to warmer climes, visit Australia. You could do worse than Brisbane, the capital of Queensland which is home to the Gold Coast & Sunshine Coast, names that instantly inspire thoughts of sun-soaked sandy beaches and sun-screen-slathered skin. We’ve all seen images of Christmas on Bondi beach, but Aus is about as far from the traditional winter wonderland as you can get, and a perfect country for some Summer in Winter! So, while there’s still a good deal of Summer left to embrace on our travels, it’s never too early to get on top of trips to look forward to – fewer tourists, cheaper hostels, reduced prices on attractions, delightfully vibrant picture-worthy scenes, and a special atmosphere all make for truly exciting off-season travel; so, get researching and don’t forget to save on booking quality hostels with 5% off all prices on Hostelculture.com, the cheapest hostel booking website. What are your favourite Autumn / Winter travel destinations? Please tell us in the comments below and inspire fellow happy travellers. Written by Ray, in Dublin, listening to Bad Religion, Joni Mitchell, and Frank Zappa.